There is an old saying that goes “plum blossom incense from the cold weather”. 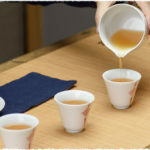 When long cold winter is drawing to a close and spring begins, teas famers are going to pick up premium delicate tea buds on the mountains before Tomb-sweeping Day, preparing for the 2014 new green teas. 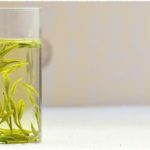 The 2014 spring teas have been online are She Qian Dragon Well, Pre-Ming Dragon Well, Te Gong Huang Shan Mao Feng, which are all harvested before Qingming Festival (清明, around April 5). All belong to can’t-miss new spring teas for every tea lover. 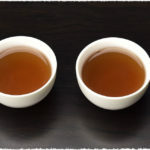 Soon other Mingqian and Yuqian teas such as Premium Dragon Well , Organic Superfine Dragon Well , Xin Yang Mao Jian , Bi Luo Chun Green Tea, are expected to be available for purchase. But now you can purchase them in advance on our website. The estimated shipping time is mid-to-end of April. As the host of TeaVivre, Angel is ready for treating us to those wonderful teas. Let’s us follow her steps and enter into the kingdom of Chinese teas. PreviousPrevious post:Angel brings our Spring greetings to tea lovers oversea.